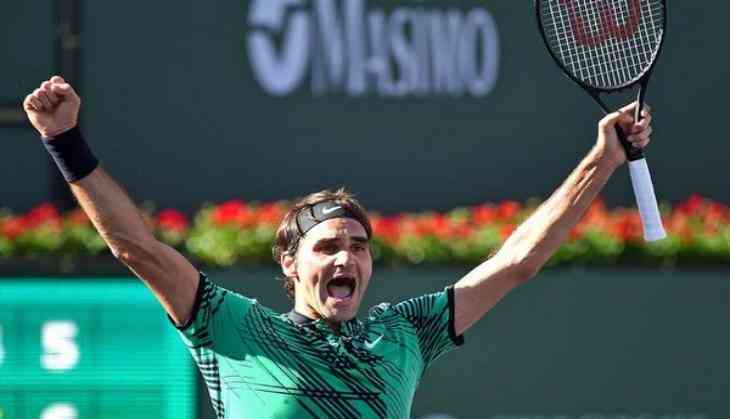 Roger Federer made history on Saturday at the Dubai Championship as he defeated reigning champion Stefanos Tsitsipas 6-4, 6-4 to win his 100th tour-level title. The 37-year-old is just the second player to accomplish this feat, joining Jimmy Connors who has tour-level title 109 times. "It has been a long, wonderful journey… I have loved every minute, It is been tough but the sacrifice has been very, very worthwhile and we will see how much more I have got left in the tank. Reaching 100 is an absolute dream come true for me," Association of Tennis Professionals(ATP) quoted Federer as saying. This was Federer's first appearance in a tour final since winning his 99th tour-level trophy last October in Basel. The Swiss player needed just 69 minutes to triumph in Dubai for the eighth time, making it four tournaments at which he has earned eight or more titles. "I think this one has a deep satisfaction, an immediate one because I know what it means. I like these type of numbers or records, a lot of people always emphasize all the Slams and all these things. I play on the ATP Tour. This is where I have won so many of them, been around for so long. I do not rest between Slams all the time like people think I might be. But I am not. I think this number proves that. I think that's why this was a very exciting week for me." Tsitsipas defeated Federer just two months back in the Australian Open and knocked him out, but the Swiss displayed an aggressive game to defeat Tsitsipas in the Dubai final.